A 60-minute voice strengthening program. $4.99A 60-minute voice strengthening program. 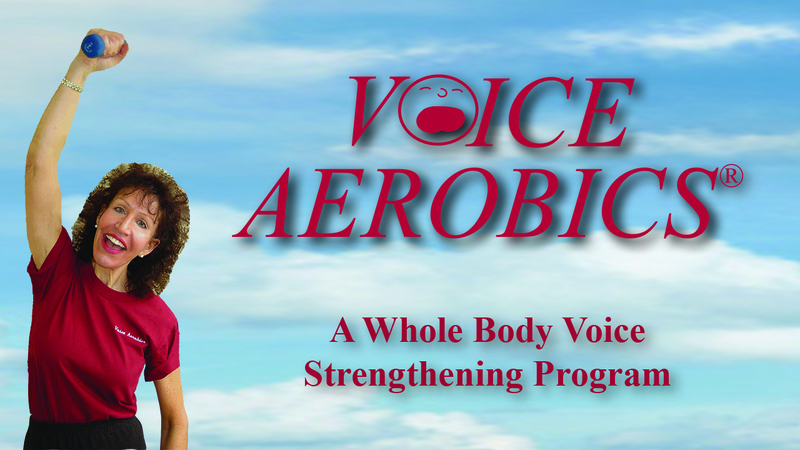 Voice Aerobics® is a 60-minute guided program that combines voice practice with movement. The program was developed in 1999 by Mary Spremulli, CCC-SLP a speech-language pathologist who leads a class of individuals with speech and voice changes from Parkinson's disease. The program is suitable for anyone who wishes to practice at home and strengthen their voice with focus on: Posture, Breathing, and Voice. Always check with your physician before beginning any exercise program. Voice Aerobics® BreathWork is a warm-up for your voice and body that focuses on posture, breathing, and voice. This video is Part 1 of a 3 part program developed for persons with speech and voice changes from Parkinson's or other neurological disorders. Also suitable for older healthy adults who want to strengthen their voice. Voice Aerobics® is a recording of a 60-minute voice and exercise program created in 1999 by Mary Spremulli,CCC-SLP a speech-language pathologist. The Voice Aerobics® class was originally designed as an after therapy program for persons with Parkinson's and related medical diagnosis. The 60-minute, 3 part video emphasizes Posture, Breathing, and Voice, and enables you to practice on your own or in a group. Do one part or all, but most important, have fun!